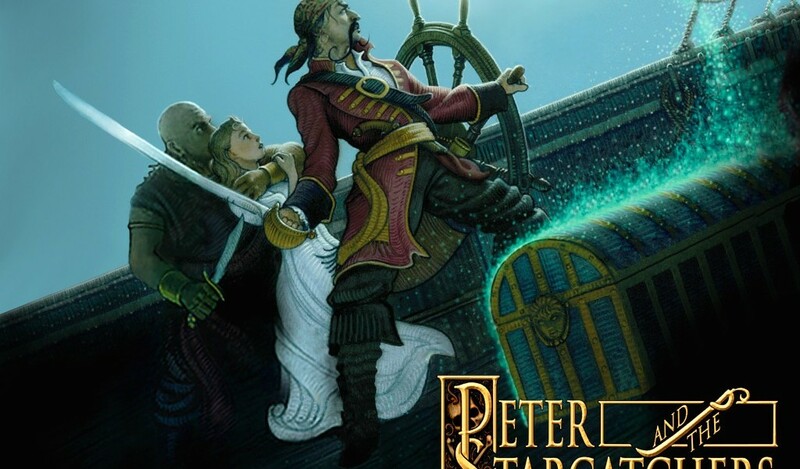 Peter and the Starcatchers A prequel to Peter Pan, telling the backstory of the characters, written as a novel by Dave Barry and Ridley Pearson and published by Hyperion in 2004. A stage version of the novel prepared in conjunction with Disney Theatrical Productions had its premiere performance in a tryout engagement at California’s La Jolla Playhouse for three weeks beginning February 13, 2009. An off-Broadway production opened on March 9, 2011. It opened on Broadway at the Brooks Atkinson Theater on Apr. 15, 2012, after previews beginning Mar. 28. The play won five Tony Awards: Christian Borle (Actor in a Featured Role), Donyale Werle (Scenic Design), Paloma Young (Costume Design), Jeff Croiter (Lighting Design), and Darron L. West (Sound Design). The Broadway show closed Jan. 20, 2013.